We can make a pretty sure bet, sadly, that nearly no one paid attention to another critical report released this month on the future of humanity with respect to the environment, hunger, equality, disease–the future health and sustainability of the planet. Whether we make it or not and why. We’ve commented so much on these issues that this is another point where we let the report and facts speak for themselves. Here’s the Press Release from The UN Environment Programme and related links to download the report and other materials. We then highlight a link to an interactive report on the outlook for humanity. 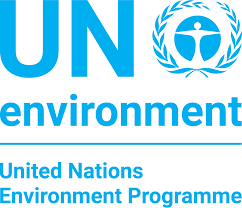 Nairobi, Kenya, 13 March, 2019 – The most comprehensive and rigorous assessment on the state of the environment completed by the UN in the last five years was published today, warning that damage to the planet is so dire that people’s health will be increasingly threatened unless urgent action is taken. We’ve made progress, but we have a long way to go. It’s time for us all to comprehend the transformations that will be required to protect our planet’s health. UN Environment’s Sixth Global Environmental Outlook (GEO-6) is the most comprehensive assessment of the state of the world’s environment. The report also offers a rigorous analysis of our prospects for a healthy future. What’s the prognosis? Our planet is suffering. The climate is warming, species are going extinct, natural resources are being wasted, and many of our ecosystems are under enormous stress.But there’s good news too. Hunger is on the decline, innovation is taking off, and people everywhere are seeking out ways to live more sustainably. There are about 7.7 billion people living on Earth today. In the chart, eachxequals 1 million people. That population is expected to rise to 8.6 billion by 2030. To 9.8 billion by 2050. And to 11.2 billion by 2100, with most of the growth concentrated in Africa and Asia. At the same time, people will be increasingly drawn to life in cities. By 2050, roughly 68% will live in urban areas, up from just over half today. Our planet is becoming increasingly unhealthy, and this is having a direct impact on human life. More than 12.6 million people diedfrom environmental causes in 2012. That represents nearly one quarter of all deaths worldwide that year. Our planet is sick, but we know how to nurse it back to health. Below, we explore three systems — food, energy, and waste — and how we can transform them for a healthy future. The first system that we need to transform is one that affects all of us intimately, every day: food.As the global population grows and climate pressures increase, we will have to start producing our food with greater efficiency and resilience, and we have to encourage people everywhere to adopt diets that are more sustainable.Food waste is a huge part of the problem. At the moment, about one-third of all food produced for human consumption is ultimately lost or wasted. This is bad news for the hungry, of course, but it also has a big impact on the climate: if food waste were a country, it would be the planet’s third-biggest emitter of greenhouse gas emissions.Why are we losing so much food? Just over half (56%) of all food waste is generated in high-income countries, while 44% comes from poorer countries. But the causes of food waste vary greatly. In the developing world, most food is lost during the production process, due to improper storage, a lack of refrigeration, or other infrastructure challenges. In richer countries, retailers and consumers are responsible for a much greater proportion of the waste. We need to give farmers strong incentives to reduce their greenhouse gas emissions and use their land as efficiently as they can.We need to stop the loss and waste of food across the value chain.We need to encourage and empower people everywhere to adopt healthier and more sustainable diets. In many cases, that means eating less meat. Renewable energy production has grown significantly over the past ten years. It is now at a record high. But electricity generated from coal is also on the rise, and about two thirds of our electricity still comes from dirty fossil fuels. The total amount of electricity generated around the world has more than doubled since 1990, although nearly one billion people still don’t have electricity at home. Our goal should be to completely “decarbonize” our energy supply. Despite a slowing trend, global energy demand will likely grow by 30% by 2040 — the equivalent of adding another China and India to today’s energy demand.Renewable energies are expected to meet 40% of the projected demand and capture two thirds of global investments in power plants between now and 2040.Looking even further ahead, there are a range different “pathways” to a world in which we keep warming to well below 2°C. In each of the three scenarios presented below, the total demand for energy drops by about 25%, while the relative contribution of different energy sources changes considerably.How do we build a sustainable energy system? We need regulations, policies and innovations that push people towards cleaner sources of energy..We need to reduce our energy use, by increasing energy efficiency as well as reducing energy loss.At the same time, we need to continue to pursue technologies that will allow us to pull carbon out of the atmosphere and store it safely and sustainably. The global market for waste is worth $410 billion, and not all of it is legal. Safely disposing of hazardous waste is an expensive undertaking, so some people decide to just ship it to other (usually poorer) parts of the world.This is against the law, but unfortunately it’s still a common practice. And it poses serious risks to human health. The problem is especially pronounced with electronic waste, up to 90% of which is illegally traded or dumped each year. For centuries, we’ve had a “take, make, waste” approach to economic growth, and now we’re suffering the consequences. Humanity used an estimated 90 billion tons of resources in 2017. More than 50% of that was dispersed or emitted as waste, while less than 10% was put back into the economy.Our appetite for the latest gadgets is driving a steep rise in electronic waste, which most likely amounted to about 50 million tons in 2018, nearly a 50% increase in under a decade.Below, you can explore the regional breakdown of how much we extract every year – from biomass to fossil fuels, metals, waste rock and minerals for construction and industry. Between the 1950s and the 2010s, the total amount we extracted increased fivefold.We need to shift to a circular economy, one that uses waste as a resource. So how do we get there? Governments need to create incentives for companies to design for the future. They should also impose new taxes on the use of virgin materials.Companies need to start targeting the wasteful “hotspots” in their value chains, and find creative new ways to put their waste to use. They should also design their products so that they can be easily recycled or repurposed after consumers are finished using them.Consumers need to be more conscientious about how they buy, and how much they throw away. They need to make use of their local recycling options — if they’re lucky enough to have them — and demand stronger action and higher standards from their governments and retailers. Building a world that can safely and humanely sustain 10 billion people is perhaps the greatest challenge that humanity has ever faced.We can get there, but only if we prioritize the health of our planet.To start, we should focus on fundamentally changing three essential systems: food, energy and waste. These transformations will not be easy, but they will offer enormous opportunities for those who are ready to seize them.What’s at stake is life, and society, as the majority of us know it and enjoy it today. We have no time to lose.